YoYoTech up The Ante with More Industry Recognition. Centerprise partner YoYoTech have received even more recognition after a review from the industry leading title, Computer Shopper. The spotlight fell on the Warbird RS12 – the ultra-powerful yet super sleek gaming workstation, crammed with handpicked hardware components. 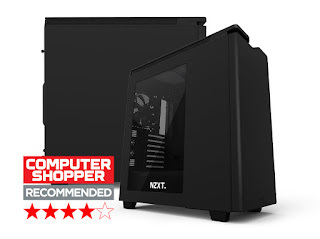 The workstation received 4 stars from Computer Shopper, as well as a recommended Award, after undergoing the rigorous testing these reviews demand. Computer Shopper is read by technology enthusiasts across the UK and is home to the largest reviews section in any UK tech magazine. This section is often the first port of call for gamers when considering their next PC. This most recent accolade comes shortly after an ‘Editor’s Choice’ award from MicroMart, proving that YoYoTech are leading the way in the UK gaming workstation market.